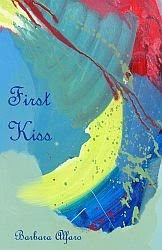 First Kiss by Barbara Alfaro is a warm and majestic breeze. There is a message of love lost and love gained that was present from the light-hearted "Carnival Music" to the fervor of "First Kiss." There are such beautiful metaphors in the poem "Heart," making the cost of money seem so bitter. The cost of love is very big. We all share in pain and joy, but it is the sadness and the sometimes deafening silence that makes us appreciate those moments of joy. I can feel the pain and the relief that the first kiss can bring. I think we all remember our first kiss. It can be a heart-warming memory that is as brief as a sweet dream. I was very taken by First Kiss. Ms. Alfaro brings out an array of emotions in every poem. I think that Ms. Alfaro is a romantic in every sense of the word. I feel the pain, the triumph, and the tranquility in every page of this book. A great poet can tell a story in a few sentences. Ms. Alfaro does this very well. I think that this is an incredible collection of poetry. 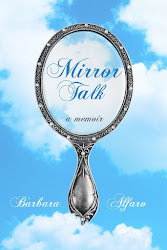 As I read this book, the words passed through my thoughts and reminded me that we all need to enjoy those special moments, even though they live in our thoughts forever. They all go so fast. I encourage you to take time to enjoy this book. It is great from start to finish.